Derek Applbaum has 15 years of specialized leasing and sales of office properties in Central San Diego. Throughout his career, Derek has represented a variety of owners and users through complex lease and sale transactions. He is considered a trusted advisor amongst his clients as he understands his clients’ needs and develops strategies that best suit his clients’ abilities to lease and sell their real estate. Derek has completed transactions totaling over $450 million in his career. Currently, Derek and his team represent over 1 million square feet of office space. "Derek Applbaum was instrumental in helping us with our most recent purchase of Airport Plaza. We look forward to Derek finding another opportunity to add to our San Diego portfolio." 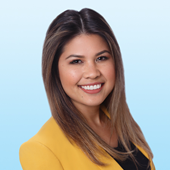 I joined Colliers International in early May of 2018 as a Client Services Coordinator. For over 2 years, I have been a member of the commercial real estate community where I developed strong skills in marketing, business development, sales, and project management experience. In 2017, I obtained my California State Real Estate Salesperson license while working as a Marketing Coordinator within the CRE industry in San Diego. As a Client Services Coordinator, I provide marketing support to the Investment Sales Team and the Landlord Representation Team. I prepare marketing materials such as brochures, email blasts, tour books, and pitch books, having extensive knowledge of the Creative Cloud software. Additionally, I am responsible for marketing reports, request for proposal responses, and any due diligence requirements for my team.